Posted November 22nd, 2016 by High Dive SD & filed under News and Updates. Posted August 24th, 2016 by High Dive SD & filed under Beer, Food, Liquor, News and Updates. Discover SD included us in some of the best places to catch the Chargers!! Not a Charger fan? That’s ok come down and get some grub then find a bar that has your team on!! 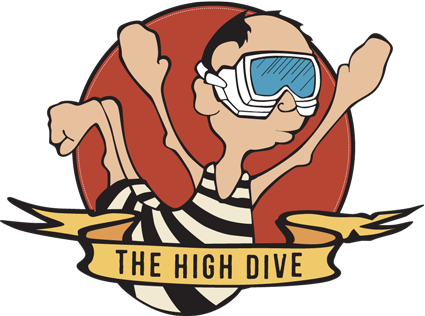 Posted August 1st, 2016 by High Dive SD & filed under News and Updates. Posted December 26th, 2015 by High Dive SD & filed under News and Updates. Posted December 22nd, 2015 by High Dive SD & filed under News and Updates. Posted December 10th, 2015 by High Dive SD & filed under News and Updates. Posted November 23rd, 2015 by High Dive SD & filed under News and Updates. This event is sold out, please join us for CFB in January 2016! Join us for CFB with Placentia, CA’s The Bruery. December 15th from 7PM to 10PM. Posted November 12th, 2015 by High Dive SD & filed under News and Updates. Join us on November 13th for Tap Takeover with Ballast Point! We are pouring half pints at $6 each. Posted November 5th, 2015 by High Dive SD & filed under News and Updates. Posted October 8th, 2015 by High Dive SD & filed under News and Updates.